According to a report in the Guardian, only one energy supplier has developed a programme that is capable of supporting “live” Green Deal plans. A Green Deal plan is described as live when the process of installing energy saving improvements in a property, securing finance for those works and registering repayments with a supplier has been completed. British Gas is currently the only supplier to offer a complete service. One energy company does, however, work through a third-party supplier and three are currently working on their systems to support the Green Deal. The last of the big six suppliers to operate in the UK has shown no interest in the Green Deal. Are energy suppliers struggling to adapt their systems to support the Green Deal? Or does the Green Deal provide little incentive for suppliers to invest in the policy? Whichever the case, government ministers had envisaged that energy suppliers would play an active role in ensuring the success of the scheme. Suggestions that suppliers underestimated the complexity of integrating the Green Deal into their IT systems are probably not far wide of the mark. RWE npower is no closer to developing a system that can handle billing under the scheme. EDF admitted that customers would only be able to register their interest in the Green Deal while it carried out a major review of its systems. But SSE insisted that it has had the “processing systems for the Green Deal in place since the scheme launched”. 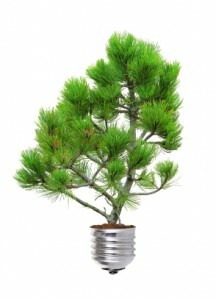 SSE plans to launch its own version of the Green Deal later this year. Legal issues have also limited suppliers’ involvement in the Green Deal. Minister of State for Energy and Climate Change Greg Barker noted that suppliers had to navigate a legal minefield to provide financial services via the Green Deal Finance Company. But he added that they were doing the “right thing” by taking time to resolve issues prior to launch. The Green Building Council seems more concerned about the financial aspects of the Green Deal, which was designed to help people install energy saving improvements such as loft and cavity wall insulation. Chief Executive Paul King questioned how many households would be able to afford interest rates of around 7 per cent and repayment terms of up to 25 years.